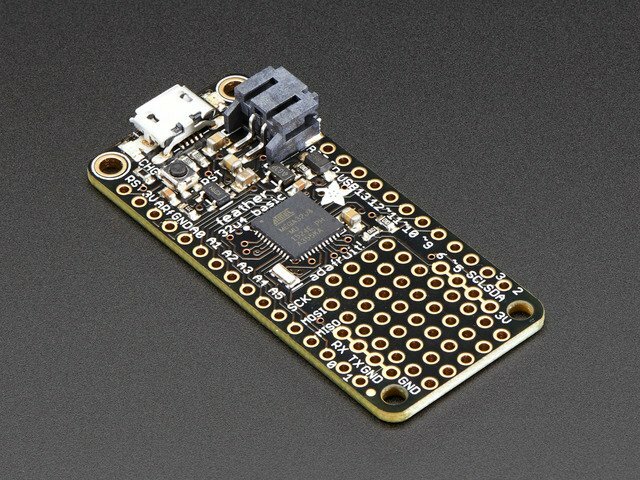 In order to connect the muscle sensor to a breadboard we will need to add some wires. Check out how to do this in the steps below. The third electrode is connected to the circuit board with a black wire. While this connection is already fairly robust, you can reinforce it with glue if you think it will be put under repeated strain. Strip the ends of the silicone-coated wires and tin the tips with a bit of solder. Snip off the headers on one end of a strip of 3 jumper wires. Separate and strip the newly exposed ends of the jumper wires. 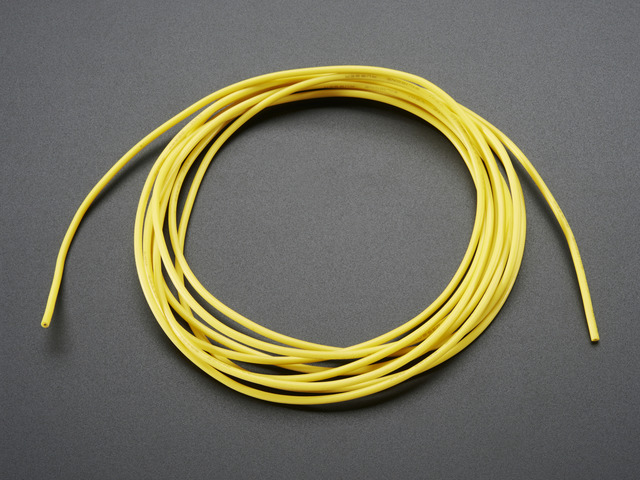 Put a short piece of heat shrink tubing on each end of silicone coated wire. Bring exposed ends together. 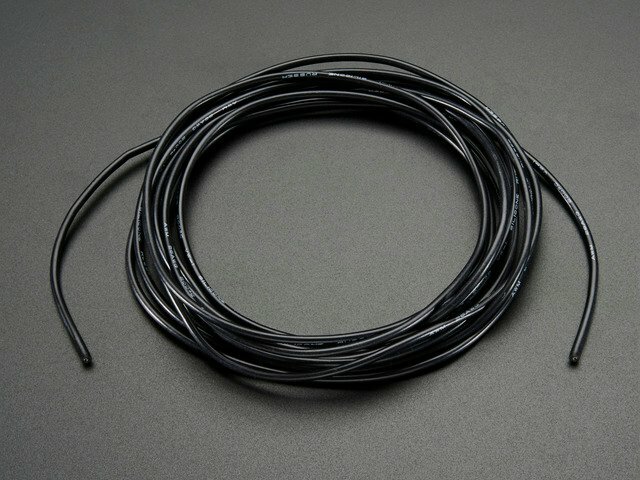 Solder together exposed ends of silicone coated wires to jumper wires. Cover with heat shrink tubing and use heat gun to secure in place. Braid the strands of silicone coated wire and secure with a zip tie. 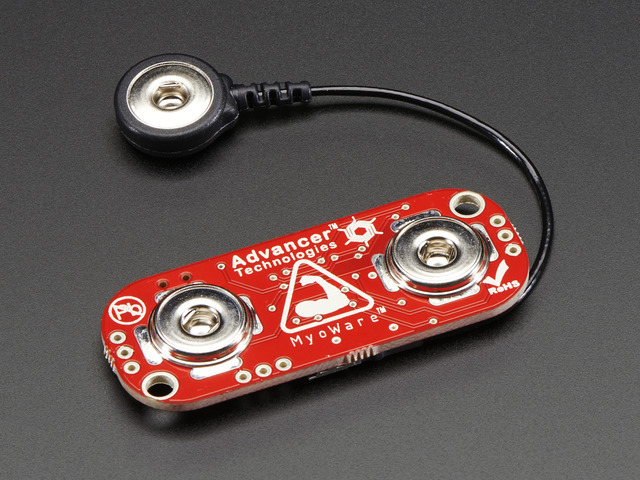 Use helping hands to secure the MyoWare sensor board and the exposed silicone coated wire ends. Solder in place. 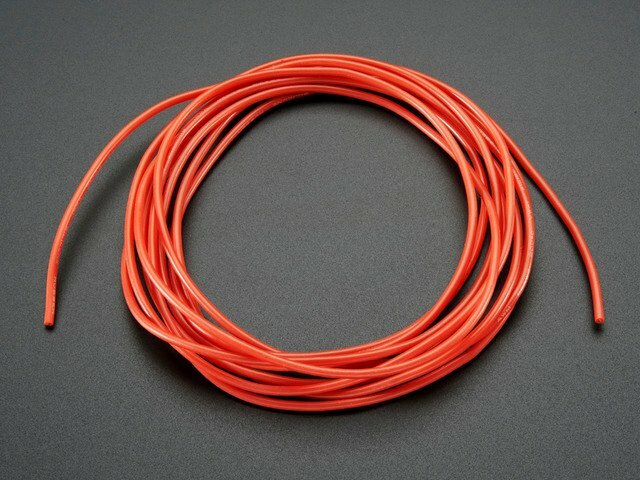 Be sure to match red wire to "+", back to "-", and the remaining color to "SIG". Your MyoWare Muscle Sensor is ready for business! This sensor provides an analog signal that can be read by the analog input on your microcontrol, just like many of the common sensors you might use. Simply open up Arduino and go to File -> Examples -> 01.Basics -> AnalogReadSerial. Then upload this code to your Feather board. Once your code is uploaded you are ready to start sensing! There are many muscles that you can monitor using this sensor - basically any that sit close to the skin. 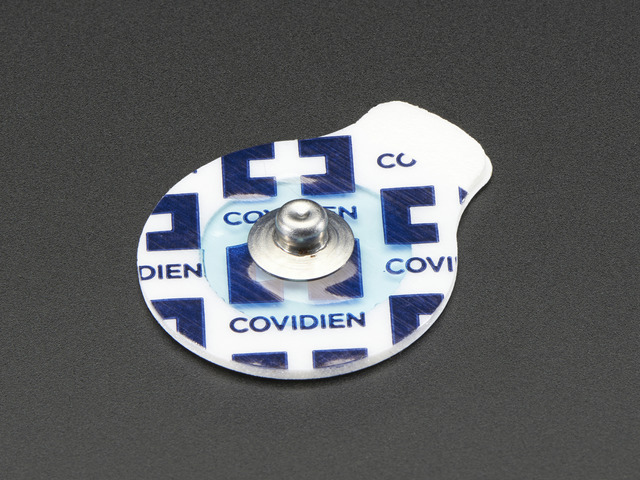 The sensor should always be placed along the length of the muscle, with the electrode closest to the wire connections placed at the middle of the muscle and the second electrode on the circuit board towards to end of the muscle. The third electode attached to the black wire should be placed away from the muscle that is being sensed. For this example we'll be doing some sensing on the forearm which is a great way to tell when you've clenched your fist. Use the following steps to get your electrodes in place. 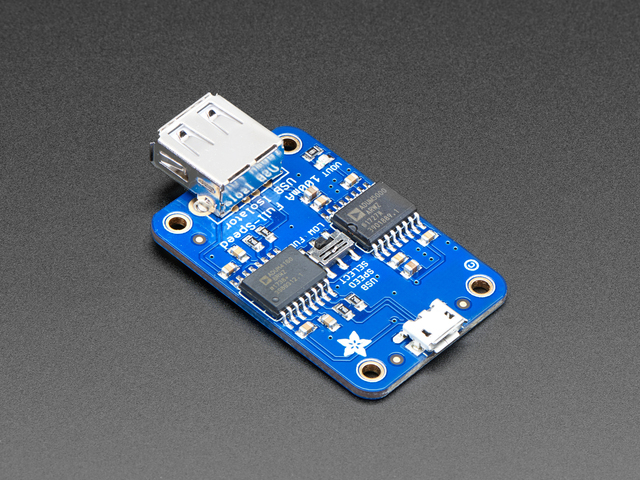 Add electrodes to all 3 connectors on the sensor. Remove the paper backing of the two electrodes on the circuit board. Clean the skin with rubbing alcohol to remove dirt, oil, or lotion. Put the circuit board in place. The side of the circuit board with the wires should be close to the center of the muscle and the other side should be close to the end of the muscle. Peel the paper backing off of the electrode on the black wire and place it somewhere away from the muscle you are sensing. Your sensor is in place and you're ready to get sensing! 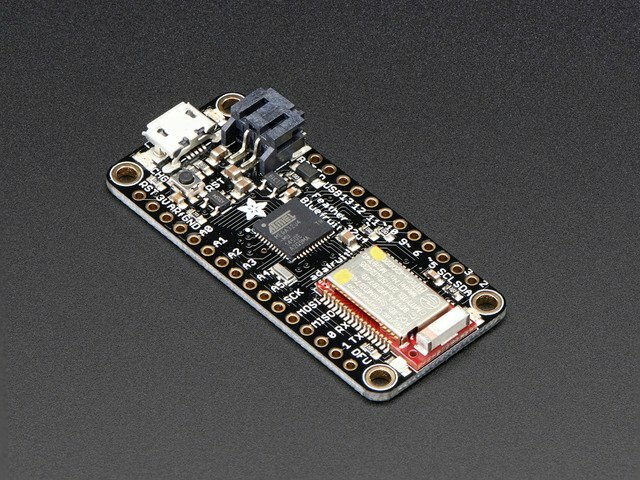 Now that your circuit has been created, the code uploaded, and the sensor placed on the muscle you are ready to start looking at some sensor values! Open up the Serial Monitor in Arduino and make a fist. As you flex the muscle the values should go up and when you release they will go back down. Use the sensor values to turn on an LED or spin a motor when you flex your arm. Look up EMG electrode placement and try to sense other muscles. Check out the sensor's datasheet to learn more about it. Imagine the biggest and smallest thing you could make happen with the flexing of your muscles! This guide was first published on Jan 27, 2016. It was last updated on Jan 27, 2016.